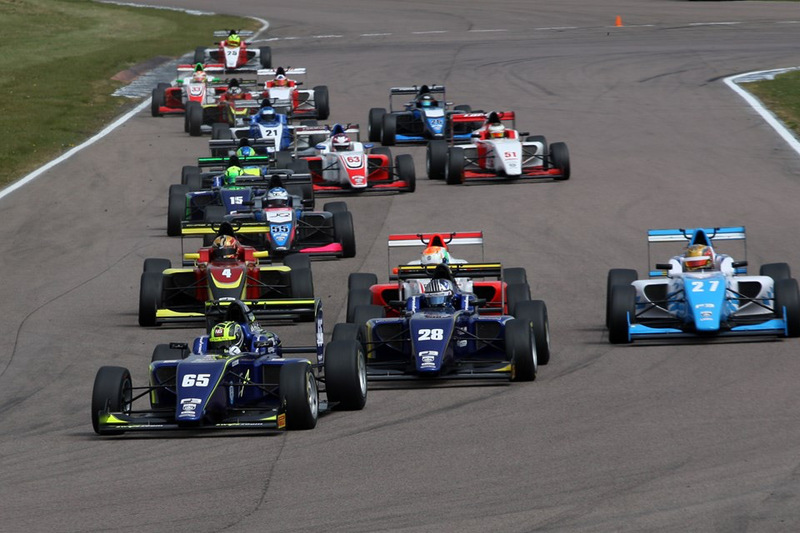 Toby Sowery, who took five victories in British F3 last year, suffered a weekend not in keeping with his pre-season title favourite tag and will be looking to bounce back in Northamptonshire. After leading for the majority of race one at Oulton Park, he skated off into the gravel under pressure from Ahmed but recovered to third. Opening lap contact in race two resulted in a DNF before race three netted him a seventh place finish. He has plenty of ground to make up in the title fight and he will be looking to do so starting at Rockingham. Scottish youngster Aaron di Comberti showed well in his Lanan Racing car at Oulton and holds 14th whilst Kenyan Jeremy Wahome, who returns for a second season in the UK's premier single-seater championship, will be looking to move forward in the championship from 15th.